This post has been sitting for a while, and now's the perfect time to get it out there for you. You can trick this out for the holidays with some crushed mint candies, or about 1/4 to 1/2tsp of pure mint extract for an A-MAZING mint chocolate ice cream. I'm working my way through the Jeni's Splendid Ice Creams at Home book, trying to lower the calories and remove as much sugar and carbohydrates as possible. So far, the Roasted Rhubarb frozen yogurt was great, and now, I'm working on the Darkest Chocolate Ever ice cream. As I go along, I'm also experimenting with different types of sugar-free sweeteners and different types of thickeners. The results so far have been good. Jeni's recipes don't use eggs for thickening, emulsifying, or texture. Instead, she's discovered a mix of cream cheese, corn syrup, and cornstarch gives good body and scoop-ability to the mix. I'd like to move away from cornstarch and corn syrup. In this recipe, I'm working with a mix of guar gum and xanthan gum (I mix them together myself in a roughly 1:1 ratio) for thickening the dairy base. You could also try the same type of product (a mix of low-carb, fiber-based) that is commercially available, like "thick it up" by Dixie Diner (check out www.netrition.com as a reliable online retailer). I'm also working with xylitol as a sweetener. It has about 1/2 the calories of sugar, and has some great properties, like actually decreasing the incidence of tooth decay. In ice cream, I find it helps keep the mix from freezing too hard (though your freezer settings have a LOT to do with that of course) in much the same way that sugar does. To lower the calorie count further, I use a syrup made from isomalt (in a 3:1 proportion with water, cook until melted and combined. Voila! Great substitute for corn syrup. Leftovers will recrystallize in the fridge, however. You can always melt it again). Isomalt has about 1/4th the calories of sugar, and has different interesting properties. Finally, if I need extra sweetness, I can turn to Splenda (powder or liquid concentrate, available in a lot of places), but I've not yet had to use much, if any, of it. Ok, so that with that preamble out of the way, let's get to the best chocolate ice cream I've ever made, ever! 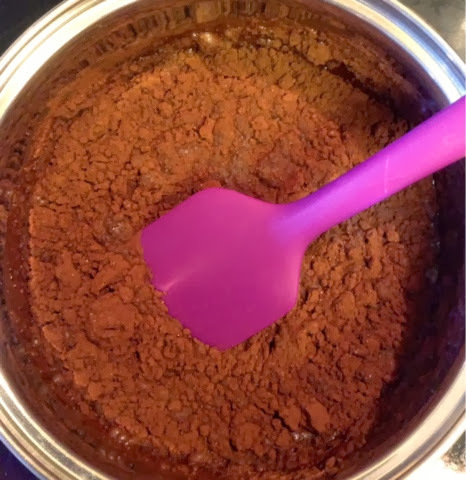 1/2c Very excellent unsweetened cocoa powder (I used the "black label" house brand from my local grocery store, but I've used Ghirardelli in the past for other things and that is excellent too. Use the best you can get your hands on). 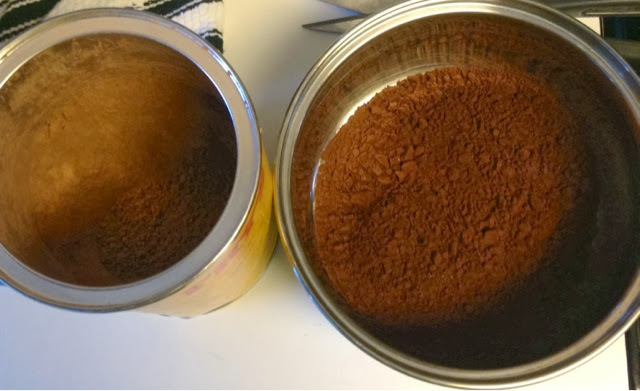 pinch of salt (1/8th tsp)-- most chocolate-containing recipes call for salt, because it brings out the flavor in the chocolate more. I'm not making salted chocolate, so just a pinch, ok? 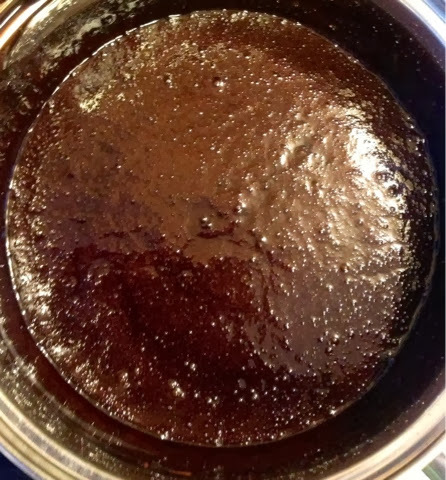 First, melt the xylitol and coffee together over medium heat. When all the crystals are gone, mix in the isomalt, and the cocoa. Mix well, until everything is incorporated and glossy. 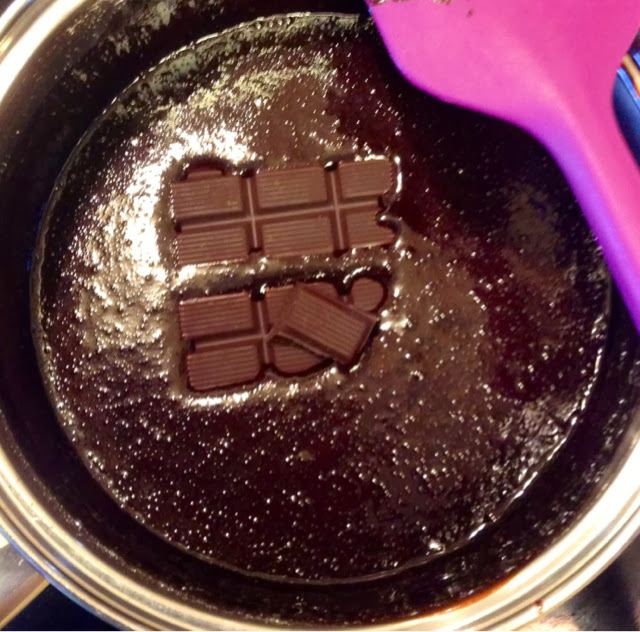 Remove from heat, drop in the chocolate (broken up), and set aside to let melt. Give it a stir once or twice, off heat. This is the cocoa sitting on top of the other ingredients for the syrup, waiting to be incorporated. Be patient. Adding the chocolate to the syrup, off heat. Let it melt in, and stir now and then. 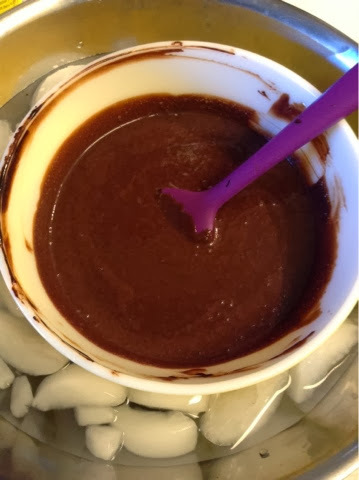 Next, in a separate bowl (medium to large, since this is where everything will come together), mix the cream cheese and the chocolate syrup, added a little at a time, until very smooth. Prepare a very large bowl with ice and some water. 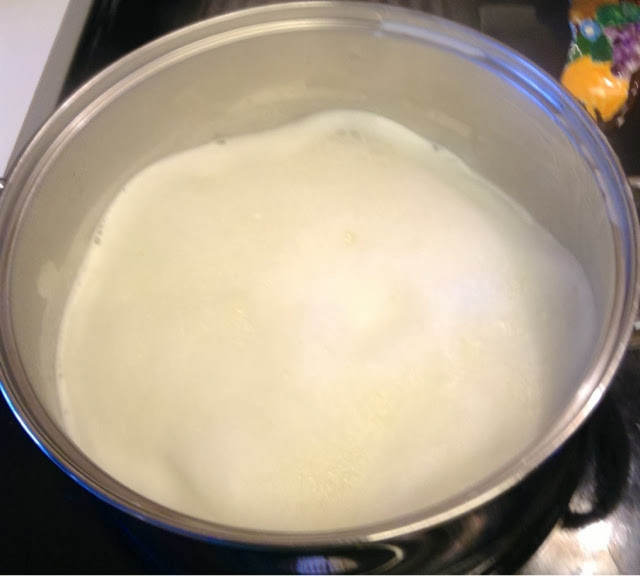 Then, mix the milk, cream, xylitol, and isomalt syrup together in a 4 qt pot (because it will get foamy), bring to a rolling boil over medium high heat, and boil, stirring, for 4 minutes. Starting to boil. See all the room in the pot? Super boiling now. Note how much less room there is! Take off the heat, and using a sieve or shaker, sprinkle in the thickening gum powder, while whisking. Return to the heat for another minute. It will not thicken as much as cornstarch would, but will thicken even more upon cooling. 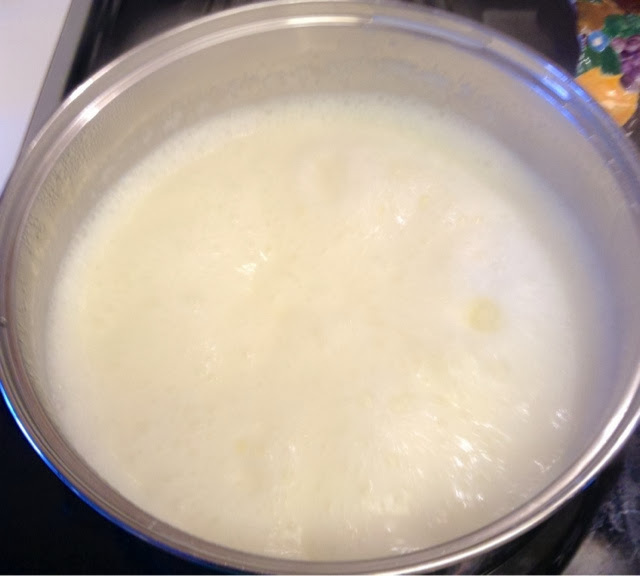 (If you are using the cornstarch-- mix the cornstarch with a bit of the cold milk to make a slurry, then add the slurry to the milk/cream mixture off heat, then bring back to the heat). 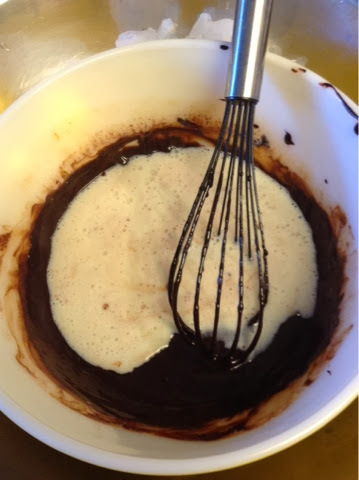 In a medium bowl, whisk a small amount of the hot liquid into the cream cheese/chocolate mixture until smooth. Keep adding and whisking, a little at a time, until all incorporated. You need the mixture completely cold if you are going to make the ice cream right away. Keep changing out the ice/water as it melts, and give the mixture a stir too, to get the hot and cold sections mixed up. TIP: If you don't need to make the ice cream right away-- skip this step. Just put some plastic wrap over the mixture so that it's touching it (won't form a skin that way) and refrigerate overnight, and make the ice cream tomorrow. When you are ready, pour into your ice cream maker and follow the maker's directions until the ice cream is ready (about 25-30 minutes for most brands). Scoop out and either eat soft-serve right away, or, pack it into an airtight container, and freeze at least 4 hours until firm. I would totally have a picture of the finished product for you... but I forgot, and then we (and friends) ate it all. I'll make it again soon though!